TME's offer now includes the PSW1C40 series single-phase thyristor modules from POWERSEM. 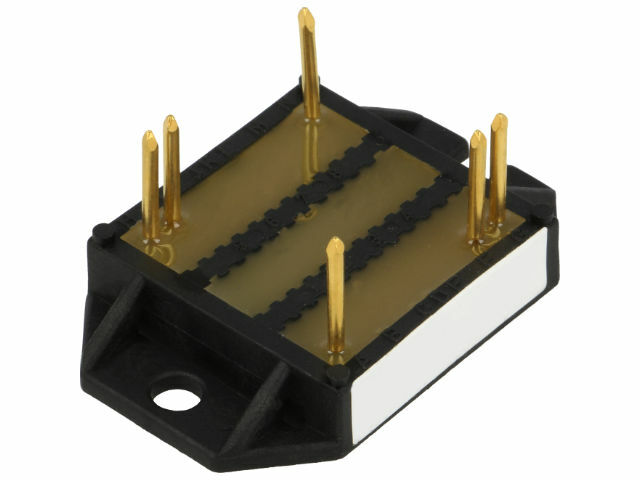 The maximum reverse voltage for these modules is 600 V to 1,600 V. They conduct current of up to 44 A. Their characteristic features are easy two screw mounting, compact size for saving space, and small weight. Further advantages of the PSW1C40 series include the fact that they are made with the use of glass passivated technology, equipped with soldering-ready pins, and have a wide operational temperature range of -40° to 125°C. soft-start driver for AC motors.